Several weeks before Micky Dolenz began his career as a member of The Monkess, he went into a west coast studio and recorded a single for the Challege label. It sat aound for a couple of years. It was not until a couple of years later that the label realized they a single in the vaults by a member of one of the most popular bands in the world, The Monkees. 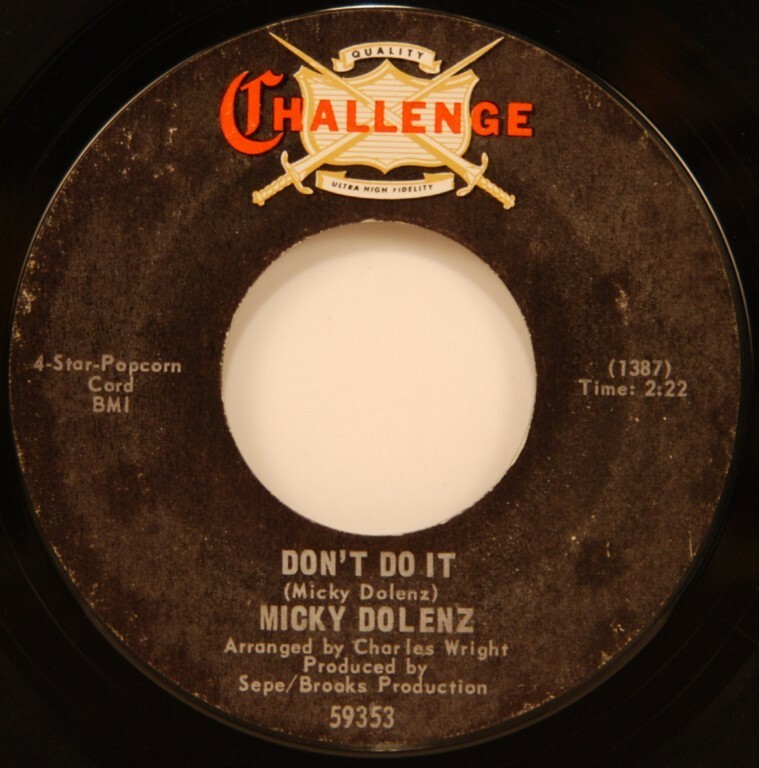 “Don’t Do It” was released March 4, 1967. It only reached number 53 on the BILLBOARD MAGAZINE Pop Singles Chart and was the only solo chart single of his career. Dolenz would reunite with The Monkees several times down through the years, plus appear as a gueat in several television series episodes. He recently has served a a disc jockey. “Don’t Do It” is a song which has slid into obscurity.